Hey hey. I’m back again! Why do parts of my model stay bright when I reduce the ambient light? How can I fix my model to make it look good in low-light scenes? So… do you get this weird lighting, when you are trying to manipulate the lights for a darker scene? I get this alot on low quality models; some parts of the model stay “lit-up” while the rest of the scene goes dark as I turn down the lights. 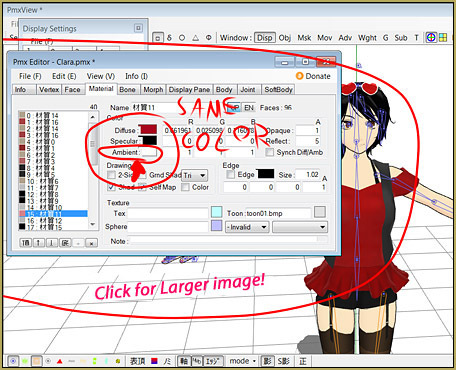 You need to have a PMD/PMX Editor. 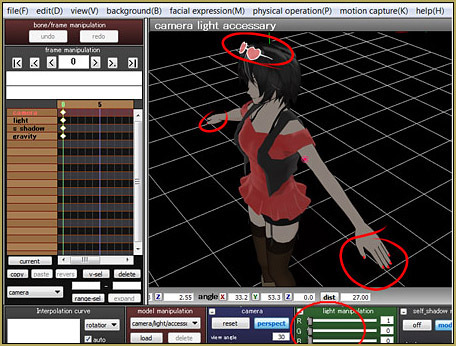 You can get it from the LearnMMD Downloads page. You need to know your model’s type: PMD or PMX? First: Save your model under a new name so the you can keep your original model safe. 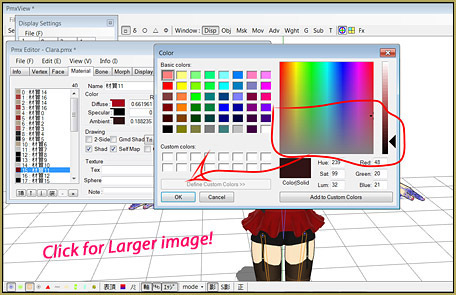 Now, load your model into the Editor. Go to the “MA” panel. Now, you have to find the broken part. 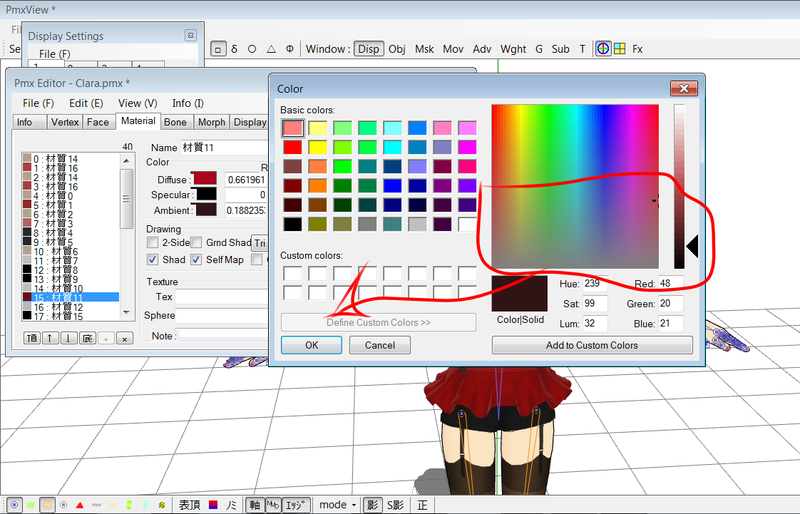 It will usually look like this same color or you can find it by texture name. 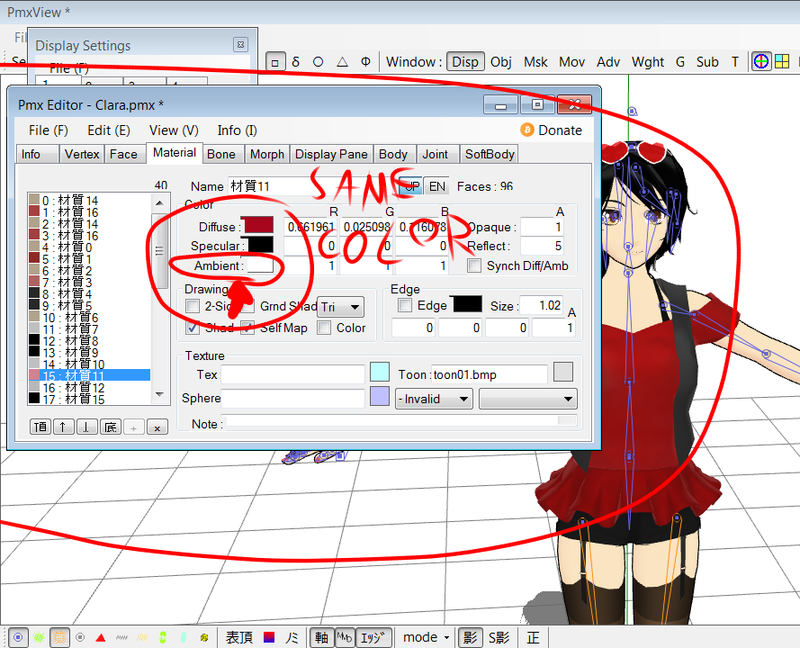 All you have to do is make the “ambient” part darker by clicking on it and choosing a little darker color. 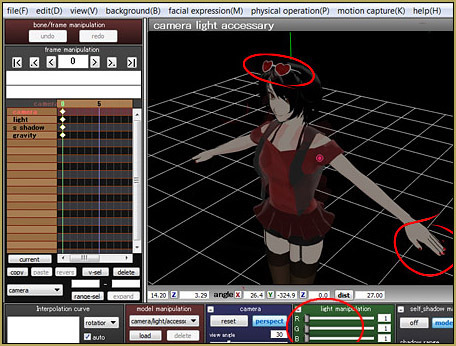 Load the model in MMD to see how it looks… it should work! The process is the same for both PMD and PMX Editors.